From Castle to Cottage, Andrea can help you find the home of your dreams. Andrea Signorelli lives and works in Paradise. A long time resident of Cape Coral, Andrea spent her childhood on the Emerald Gulf Coast of Florida. She received a B.F.A. from Florida State University and an M.F.A. from University of South Florida. 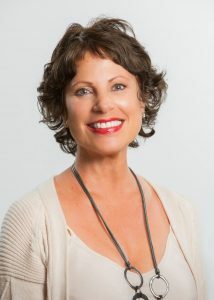 Since 1986 Andrea has been a licensed real estate broker and has based her career on understanding her client’s needs. She believes that long term rewards come from building lasting relationships with each client by listening to their wishes and placing their needs above all else. Due to her lasting commitment and involvement in the Cape Coral real estate market, Andrea has been witness to and a participant, in the dynamic growth of the community. Andrea brings depth and understanding to the explosive growth in Cape Coral and the extraordinary opportunities it holds. From Cottage to Castle, vacant land to development projects, Andrea invites you to share in her long and productive association with the waterfront paradise of Cape Coral. Contact Andrea, 239.823.6906, or asignorelli@miloffaubuchonrealty.com. Learn more about Andrea, www.CastleToCottage.com, and how you can become a part of the waterfront paradise of Cape Coral.